Parenting site Netmums has partnered with Boots to create a branded hub on the site featuring parenting tips. 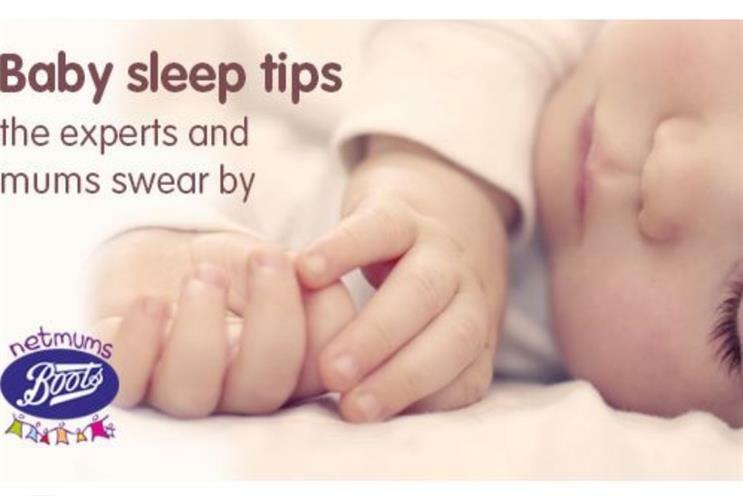 As part of a six-figure partnership, launched this week, Boots will host branded content on a dedicated hub on the Netmums site featuring advice on issues including "baby sleep tips" and childhood allergies. The deal is designed to raise awareness of Boots’ "baby expertise" and will enable the brand to tap in to Netmums' audience of eight million monthly users. It is the first time Netmums has brokered an editorial-led partnership on the site. Through the branded tab on the navigation bar, Netmums members can access promotions and can register to become part of the Boots Parenting Club. The partnership will also extend across social media, on mobile and in Boots stores. On the hub, Netmums will create editorial features that tie in with seasonal Boots promotions. It will also target mums via demographic-specific offers and product trials. Rimi Atwal, Netmums' managing director, said: "Buying for your pregnancy, baby and child is all about trust and this deal brings together the two most trusted names in parenting. "It offers genuine integration, native solutions and the high quality content Netmums is renowned for across all platforms." The move, she said, made business sense and would make parents' lives "easier".